I haven't written about this before but I have set myself a challenge/project for the year. In my head I have called it the One Nice Thing Project (apologies to anyone who also has I project by the same name, I haven't copied I promise) basically its a little reminder to myself to think before I spend and buy one beautiful thing instead of five average things. Money is a weird subject to talk about but I think its important to be honest especially in the blogging sphere when so many posts are all "hey look what I've just bought". In some ways I'm good with money I have a spreadsheet and a budget that I set every month but without fail I overspend every.single.time. Owing money has lead me to make some bad decisions job wise and as I have finally cleared my credit card its about time I took control once again. Last year I banned myself from buying nail polish, I had close to fifty and when I mentally tallied them up the collection came to around £250, which is gross and the equivalent of a flight somewhere hot. I can't do shopping bans as I always go crazy when I come off but knowing I can say no has been quite powerful. From last years experiment I am now much more considered about the purchases I make as a whole, I think about what I buy and ask do I really need it, do I love it, before I merrily hand my card over. I'm also avoiding the homeware section of TKMaxx. I still have a little way to go which is why I have posted this picture. Last week I had an online shopping splurge the stuff was cheap and I wasn't really in love with anything I purchased. 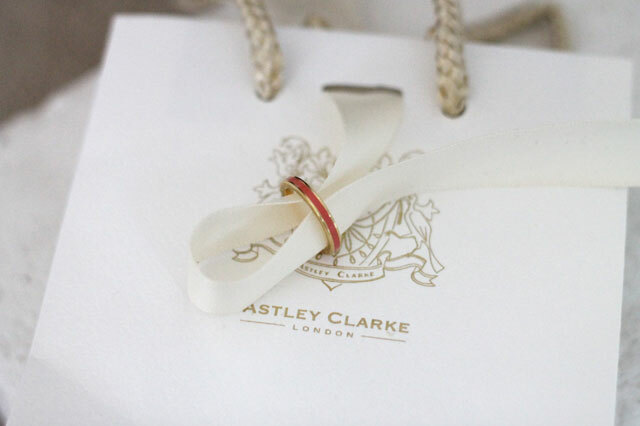 That evening I went to a really inspiring talk with the Astley Clarke Gemologist at Liberty that made me really think about buying something which has lasting beauty. I bought this little ring, I had some money off coupons so in total it was just over £20, the price of two dodgy skirts I had in my bag. The skirts would have only made through one summer where as this ring will last for this summer, and the one after and the one after that. The skirts were returned. I'm always going to want to buy pretty things thats just who I am but buying the best I can afford is my new mantra, so whether I have a pound or a hundred in my purse I'm going to make sure get the best from it. This sounds good and really healthy! It's something I have been working on for years - being on a budget as a student as well. It's crazy, you don't buy nice stuff that you really want and would use endlessly because you think it is too expensive and then spend the same amount of money on five lower quality items that you will use much less. Wish you lots of luck with your challenge, hope you can stick with it! Thanks so much Hanna, its crazy when you think about how much the little things add up to. I love the ring and such a great idea. I think I might try and take a page from your book. That's entirely true! Sometimes we get excited with pieces that are on sale or that don't cost too much! But, for me too, less is more! It is better save and then invest in something that you really need and that will last a long time! Beautiful ring! By the way, love your blog! Thanks so much! I'm learning the saving part, slowly! I agree with you. I have been making a real effort to wait, save and buy something that I really want and love. I like to save my money and buy from Etsy. I am gradually buying nice things for our house that will last and are special because they are unique and someone has put some love into making that item. Its more of an effort to save but so much more rewarding when you do wait for the purchase.